Hardwood logs in a choice of Seasoned or Kiln Dried and kindling too. Supplied in handy reusable jute sacks. 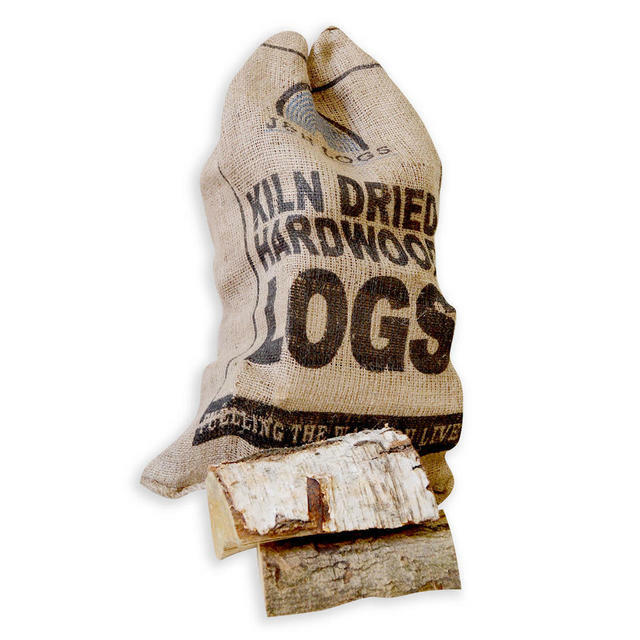 As a carbon neutral resource, burning firewood helps us reduce our dependence on fossil fuels. All the Kiln Dried and Seasoned Hardwoods are native hardwood logs, taken from established deciduous trees like the oak, elm, alder, beech, silver birch, and sycamore on sustainable British woodland. 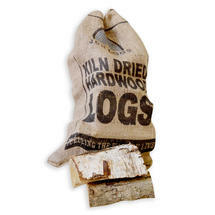 They are a wonderful all-round choice, creating a natural flame, authentic aroma and enduring burn time. 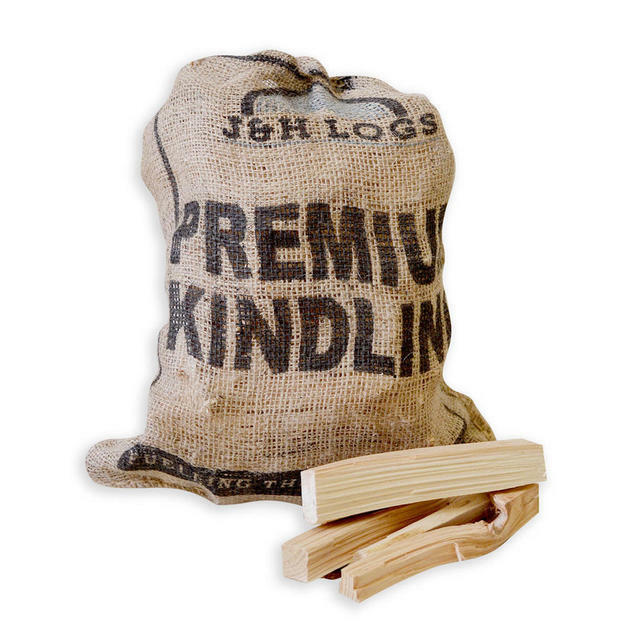 Also available is jute sacked Kindling. 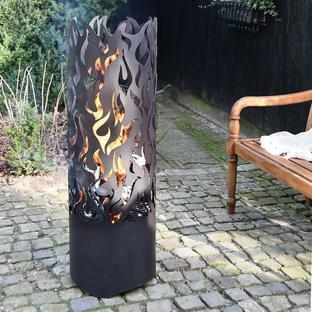 Your fire needs to build up over time, so it’s important to set it well, whether it's for your pizza oven, outdoor cooking stove, or open fire. 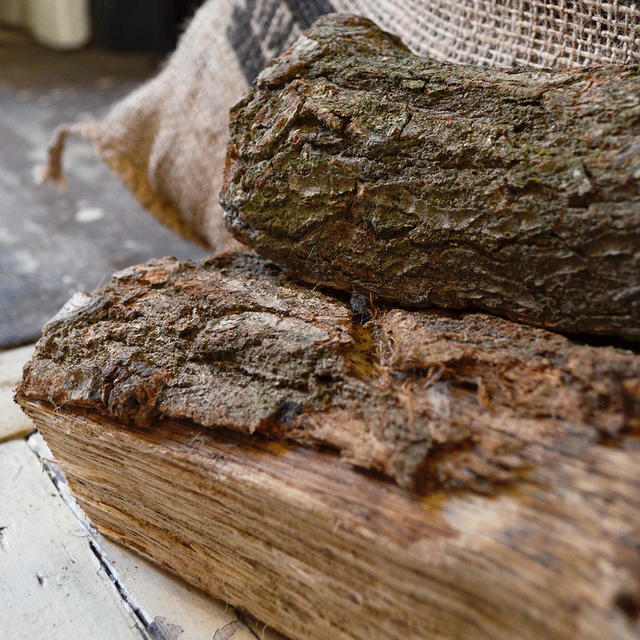 Using smaller pieces of wood that burn underneath logs is the best way to guarantee a sustainable fire. 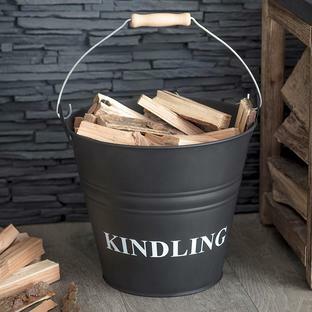 You’ll often find that the most effective kindling comes from beech, elm, pine, ash and hawthorn trees. 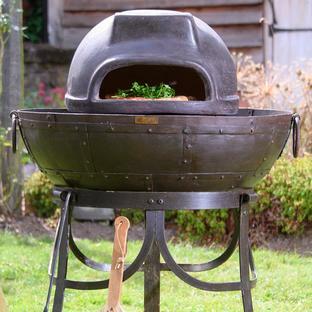 If you have a pizza oven, kiln dried wood is essential. 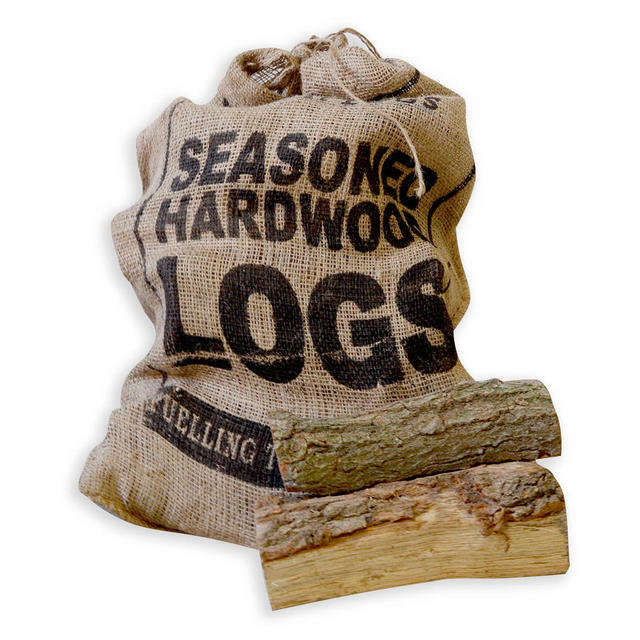 It burns hotter than other wood, which means your oven comes up to a higher cooking temperature much sooner. 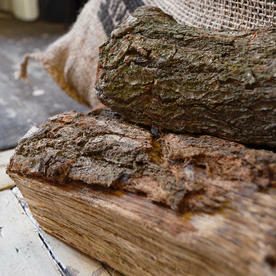 Made in the East Midlands from fallen or coppiced trees. 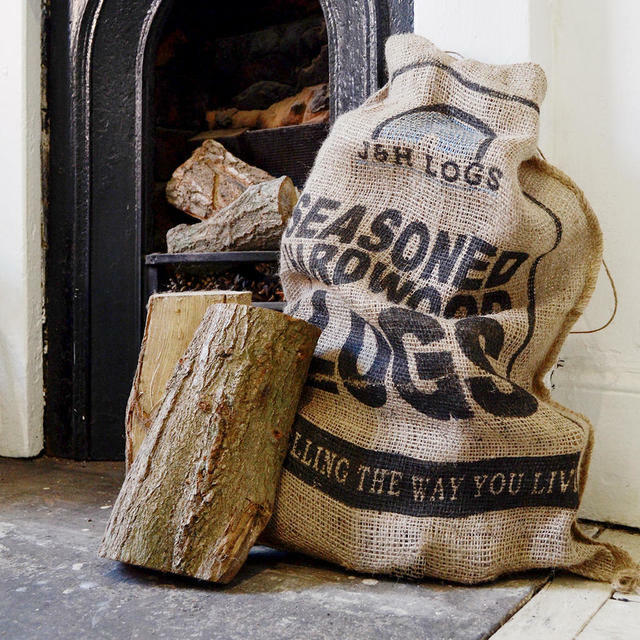 Please call if you require a quotation for larger '1 tonne sack' loads. 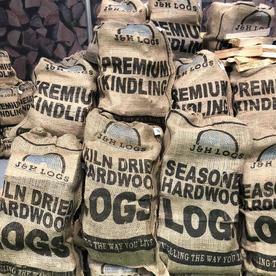 Seasoned Hardwood - Once cut, the moisture within the wood needs to dry out and evaporate, so these are carefully stored in barns, where the air can freely circulate. Length 25cm approx. Please note, all weights are approximate, and will differ slightly from bag to bag.